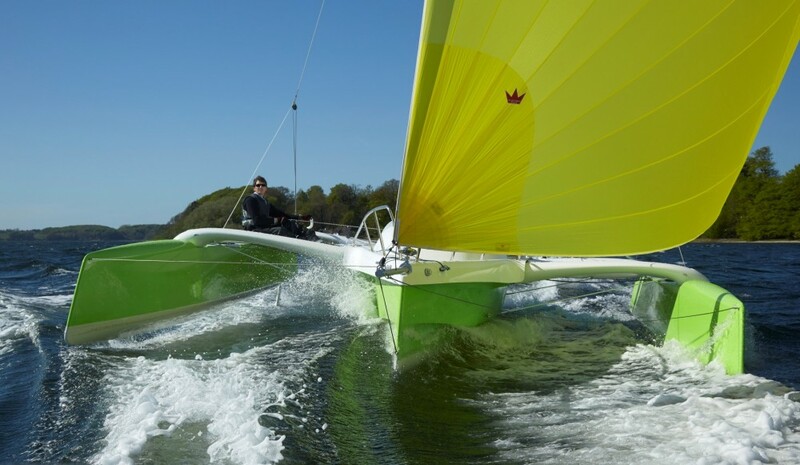 The new Supreme S202 combines high value and high quality in a versatile watersports package. If you’ve been paying any attention to the world of watersports over the last several years, you know how much you can spend on a new towboat. Often it’s the kind of money that can get you a nice house in a midwestern state. If you haven’t been paying attention, yes, new towboats can be that pricey. The good news is they don’t have to be. 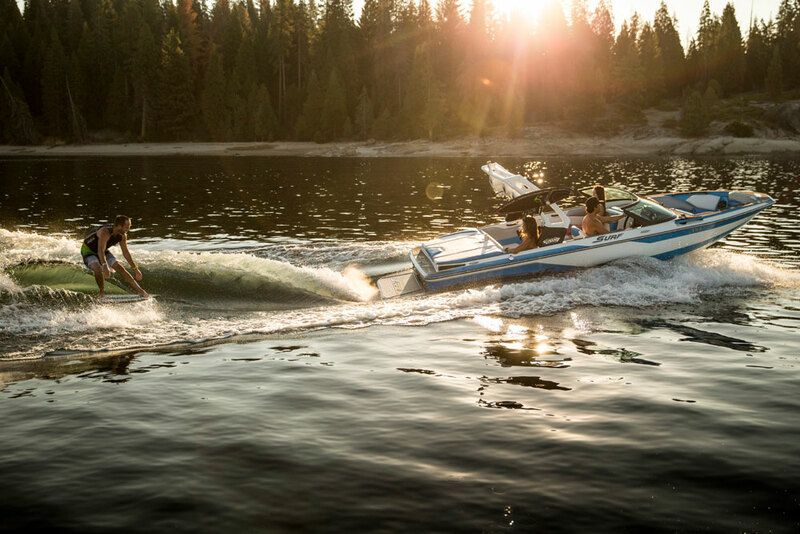 With its new S202, Supreme delivers a wakeboarding and wakesurfing machine that offers the style, function and wakes today’s buyers demand at a price that’s downright reasonable. How reasonable? Base MSRP is $56,150, and that includes Supreme’s Octo Tower, the See Touch Dash, Zero Off speed control and Extreme SA trailer. 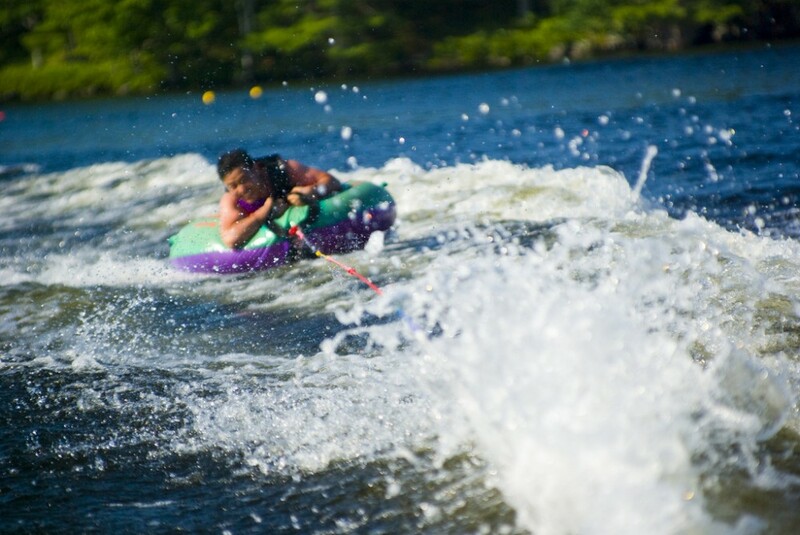 Watersports boats designed for wake surfing are expensive. Very expensive. But the Supreme S202 breaks that mold. 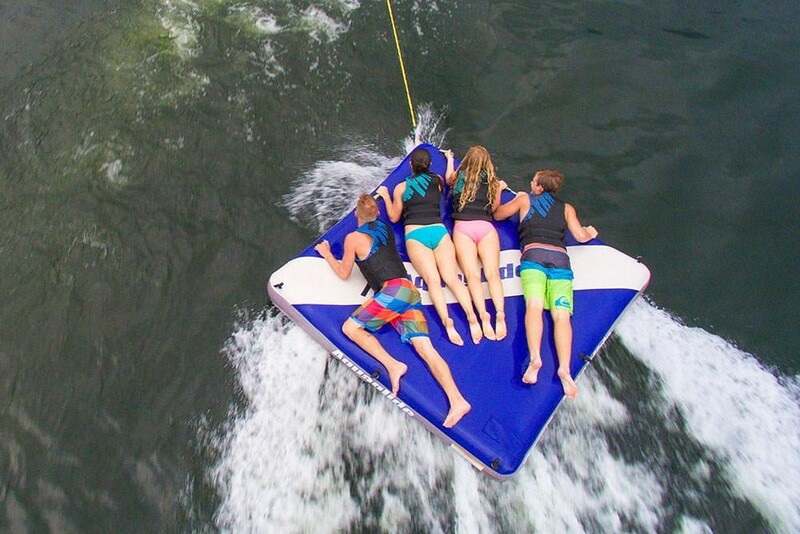 “We developed the cool-looking Supreme S202 for wakesurfing and boarding families who want a weight- and size-sensitive premium towboat at an affordable price,” said Amy Mauzy, vice president of marketing and sales at Centurion and Supreme Boats. And despite the price, you still get a boat that’s put together as well as premium offerings. It starts with Supreme’s vacuum-infusion process—we’re going to get a little wonky here, but these details are important, so bear with me. By introducing a vacuum during the lamination process, the resin-to-glass ratio is optimized, which results in a stronger laminate because the process eliminates excessive resin (which adds weight, but not strength) and air voids. The hull, deck and stringer system are built using the process and then the hull and deck are “screwed and glued” together using Plexus. Now, Plexus is nothing new, but it doesn’t have to be. When it comes to bonding fiberglass laminates together, this stuff is practically bomb-proof. Using Plexus changes the molecular structure of the fiberglass, which results in a more solid hull and deck structure. That reduces noise, vibration, and harshness when you’re out on the water. Another interesting detail of its construction is that the S202 has 20 degrees of transom deadrise, which makes it more comfortable in rough water. It also allows you to use the boat for things other than watersports, like going out to dinner, without knocking the fillings out of your guests if the water isn’t millpond smooth. Because no one seems to want a rope connecting him or her to the boat anymore wakesurfing has become the latest craze, and the S202 can hang. 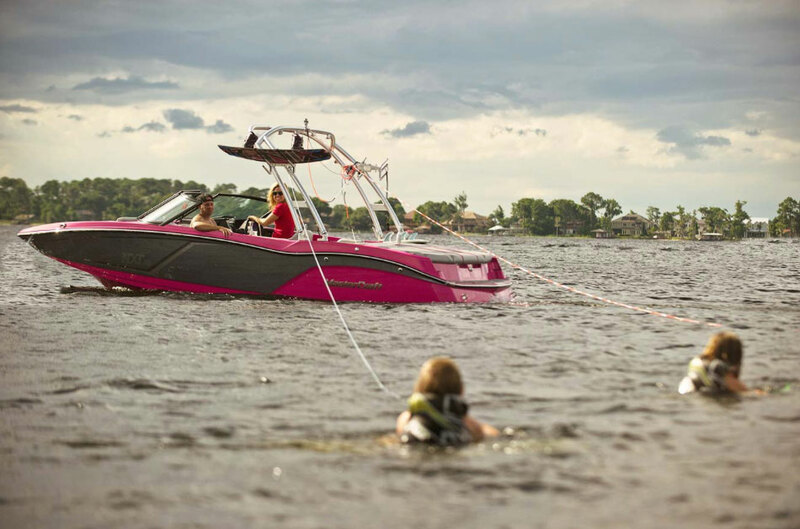 With an available 1,500-pound plug-and-play ballast system and the optional QuickSurf system, you can move waves from side to side using the SeeTouch dashboard. 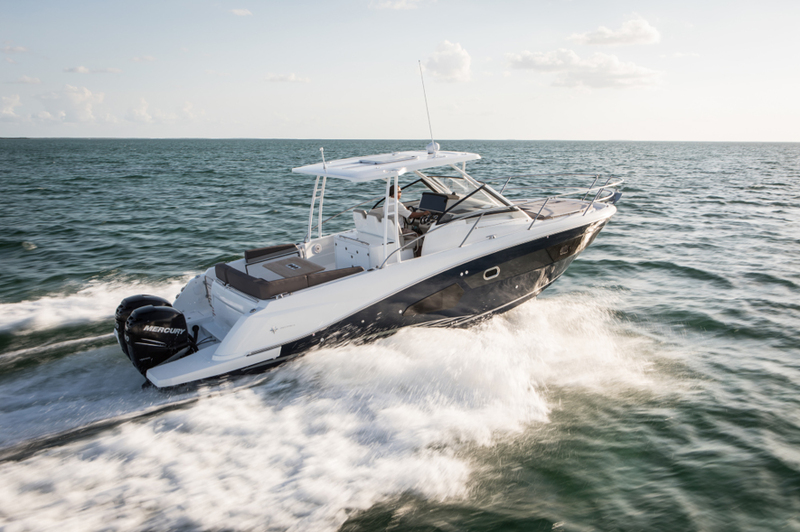 That will add to the base MSRP, but the boat is still priced far below many competitors even when you tick a few options boxes. One of those options is the 6.0-liter Crusader engine, which is good for 409 horsepower and 410 pound-feet of torque. For the price-conscious, the stock engine is ample at 350 horsepower and 370-pound-feet of torque. Inside, you get a fully featured interior, with SeaDek foam flooring and satin matte Spradling vinyl on all seating surfaces. The windshield is a slick piece, wrapping around just enough yet still giving that “convertible” feel. When combined with the Octo Tower, which Supreme places farther aft than normal, the interior feels open and spacious. It also gives the driver a better line of sight to the front and sides. The Octo Tower folds, so you can easily store the Supreme S202 in a garage. Not only is the S202 a lot of boat for the money, it’s a lot of boat period. Supreme builds it to higher standards than most entry-level boats on the market, and it’s a great alternative to towboats that cost as much as a house. Other Choices: Another (relatively) low cost option is the Wake Tractor WT-1, which has a unique look and a center console design. 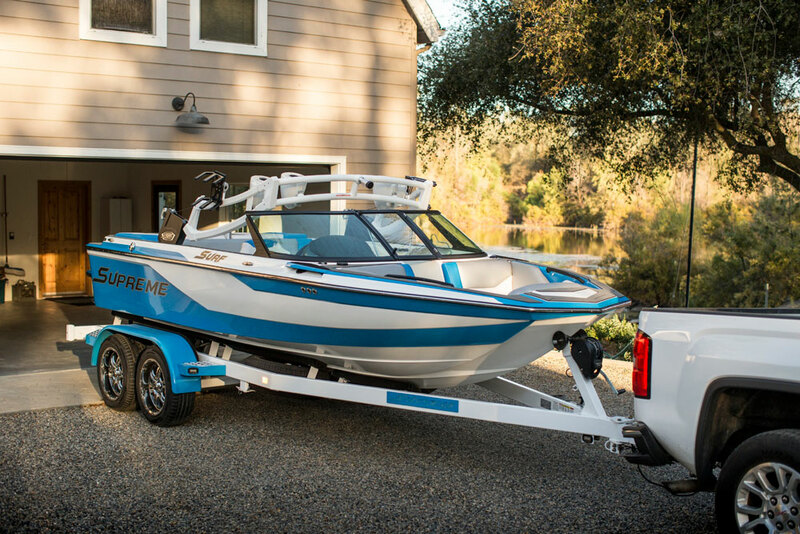 Just slightly more expensive than the Supreme S202 is the slightly larger Axis Wake Research A22. Finally, the Moomba Mojo will also of interest to value buyers. For more information, visit Supreme.